HIGHLANDERS coach Erol Akbay believes outgoing champions, CAPS United have lost their quality. His statement comes ahead of their mid-week showdown at National Sports Stadium, a match that will ensure that both Highlanders and CAPS United are finally on the same games played with the rest of the clubs. Bosso and CAPS United have been a pale shadow of their real greatness, but Akbay reckons CAPS' fall has been more pronounced. "The quality has gone down compared to last year when they won the league title. Yes, they have been winning some games, but they are not the same. "And that explains why they are not among the top four just like us. We have not done well as well and this should be a good match," Akbay said. A lot has changed since CAPS United last won the 2016 league title. • They participate in the CAF Champions league where they left a mark but came out more bruised and unable to compete in the same way domestically. • They have since lost key players from last year. These include Leonard Tsipa, Ronald Chitiyo, Abbas Amidu and Ronald Pfumbidzai. • Although goalie Edmore Sibanda remains in CAPS United ranks, his constant injuries has meant spending more time on the sidelines as the club battled to rediscover form. • Lloyd Chitembwe remains in charge and of late he has been more reliant on goals by new hero Dominic Chungwa. "You cannot rule them out completely. They remain a strong squad you must respect and we know they will give us a tough game," Akbay said. The reality on the ground is that both Highlanders and CAPS United, with 40 and 46 points respectively, have not showed up this season. CAPS United are 11 points poorer than they were at this stage last year while Bosso are 13 points poorer than they were after 28 games last season. Current leaders FC Platinum are on 59 points, second-placed Dynamos are on 58 points while Ngezi Platinum are on 57 points and are third. Chicken Inn, on 55 points and fourth on the log, have an outside chance. 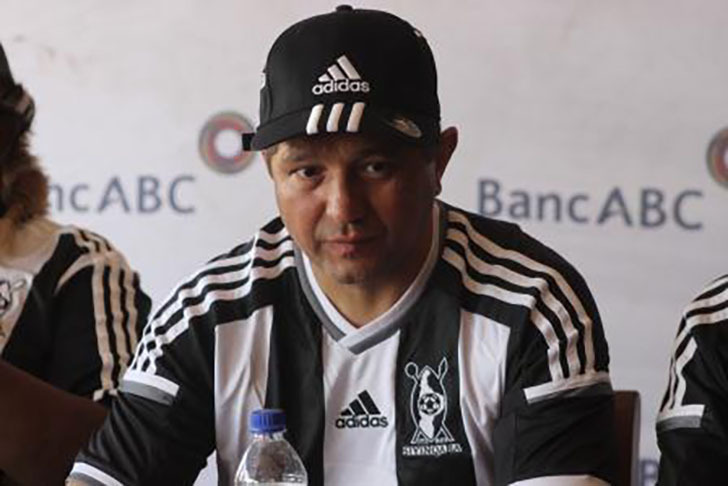 The same cannot be said of Bosso and CAPS United with their six games before the season comes to an end. Yet Akbay insists that their clash could be explosive. "There is always so much to play for. Players always play for different reasons. It can be money or their contracts. And every Highlanders player already knows what it is like to play for the team in any game. "There are no friendly matches when it comes to Highlanders and we are preparing for that CAPS United game," said Akbay. Bosso defied odds in their last game when they dismissed Triangle 3-1 away. CAPS United on the other hand could only settle for a goalless draw playing relegation-threatened Black Rhinos. With both Bosso and CAPS United booted out of the Chibuku Super Cup, they were inactive this weekend and the Bosso coach believes it gave them some breathing space. "The players get to recover from injuries and we will see who is fully fit to make a comeback. Otherwise we look forward to this game," said Akbay.